Liam Dennick Fishing : Sunday 7th February. 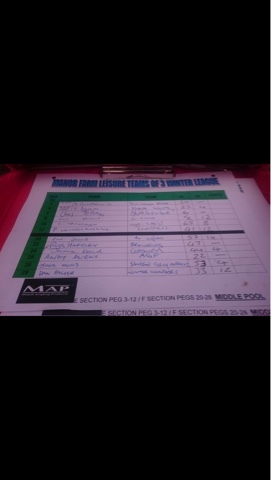 Stood in on the winter league teams of 3 at manor farm leisure. Drew peg 20 which I really fancied! And a few pole rigs. 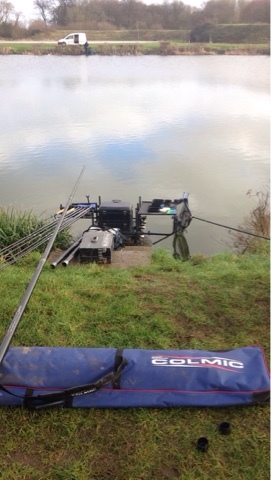 Started on the bomb and didn't have a liner or anything so had a look on the pole and foul hooked 2! Landed my first fish 1 hour and 10 minutes in! Then got my head down and began putting a few fish together. Caught all my fish on the same line despite setting new ones up! Finished with 17 fish, a mixture of carp and F1s. To weigh 57-0-0. 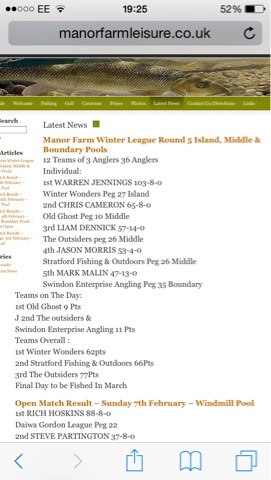 Putting me 2nd on the lake and 3rd overall out of 36 anglers. Team were joint second on the day. Learnt a lot today! Bring on next weekend!